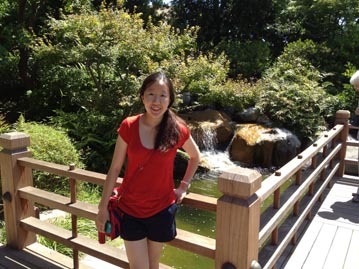 Joanne (aka Wen Ying Lee) is an undergraduate student originally from Singapore who is now studying at the University of Washington. She has a wealth of experience, having worked previously as a Research Assistant for the Laboratory of Metabolic Medicine at the Agency of Science and Technology in Singapore, the Focas Research Institute at the Dublin Institute of Technology in Ireland, and the Shimadzu Corporation in Singapore. She is a Biochemistry major, with minors in Chemistry and Music, and she is particularly interested in cellular signaling. In the future, she plans to pursue a PhD in Biochemistry. In her spare time, Joanne loves to play with her two dogs and hike.